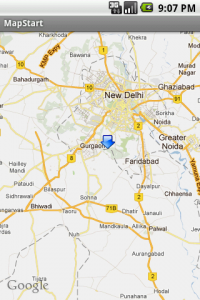 How to add markers on our desired location in Google Maps Android? In the last few posts I have showed some examples of how to work with Google maps. In this post I will show you how to add a marker in our desired position in the map. Adding something on top of a map is called overlay. Here we will create a class to add an overlay. Refer the previous posts for other resources and only change the java code as given below and also add a resource arrow.png to the res/drawable folder. Here is the modified java code. Please wait for the next post on how to add a custom overlay with our own layout and getting the touch location on the map. 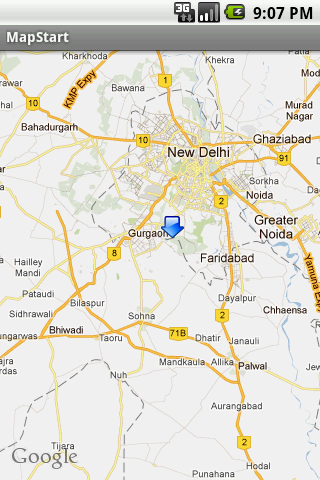 Complete source code of all google Maps examples will be available for download in the coming posts. Please don’t forget to add your valuable comments on this post, because comments are our encouragements for future posts. why is there -50 in line 93 ? That is just to adjust the position of the marker.